Did you know that August is National Golf Month? Indeed it is, and it’s a perfect time to celebrate this great pastime with your buddies! Golf is considered as one of the world’s oldest sports, and one with a rich and diverse history. This National Golf Month, invite your friends to join you on the golf course. To persuade them to join, you can tell them that playing golf is good for their health. Playing golf gives you the opportunity to stay outdoors—away from the hustle and bustle of city life. Being with nature amid green grass makes you and your friends feel relaxed as you breathe fresh air. Golf balls tend to travel farther during hot days. This is because the air is less dense and it takes less velocity to move forward. A golfer with a handicap of 18 is called a “Bogey Golfer.” Only 20 percent of golfers have a handicap below 18. 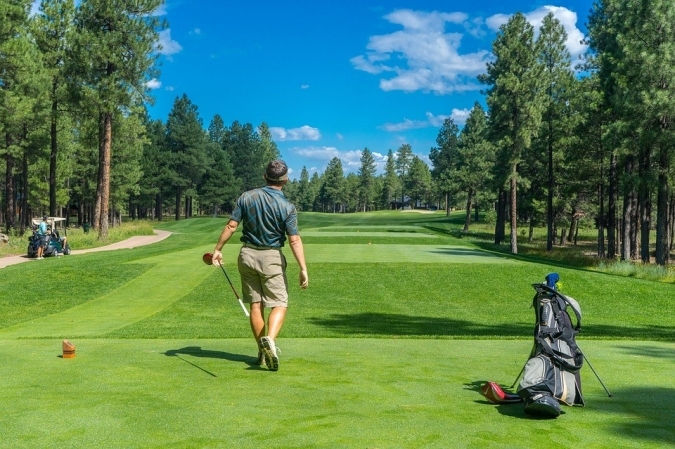 Golf is one of two sports—the other being the javelin throw—that were played on the moon by Apollo 14 astronauts Alan Shepard and Edgar Mitchell during their lunar landing in 1971. Before, golf balls used to be made from leather and chicken or goose feathers. Each ball cost $10 to $20 then. They flew much better and were used until the mid-1800s. 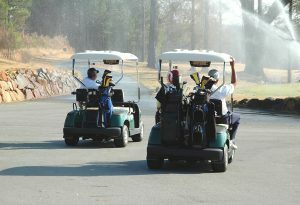 Golfers often use a golf cart when playing in an 18-hole course. However, if you walk all 18 holes, you would walk for approximately four miles. A tee is a stand used to support a golf ball to hold it in place so a golfer can strike it. Way before tees were invented and popularized in the 1920’s, golfers used to shape mounds of sand piles and put the golf ball on top. As we tee off this National Golf Month, let’s be mindful that we owe our freedom and security to our brave servicemen and women who fought for us, risked their lives, and endured enormous sacrifices on the battlefield. Let us be there for the people who are responsible for the liberty and the pleasurable life we enjoy today. This is all the more urgent since many of our veterans are facing hard times basically because of their inability to transition well to civilian life. Unable to find decent jobs because of lack of civilian job qualifications, they find themselves living impoverished lives. The problem is worse for those who are still suffering from service-connected injuries including those with physical disabilities and untreated mental disorders. Some have become so poor that they’ve been forced out of their homes and become part of the nation’s homeless population, eking out a living by begging for food and money on our streets and sidewalks. We at Veteran Car Donations are exerting our best effort to help these destitute veterans and their families. You can help us alleviate their plight by donating cars or whatever types of vehicles you no longer need. You can donate your SUV, motorcycle, van, boat, RV, or even a golf cart! It doesn’t matter if the vehicle you’re donating is not in running condition anymore or has some defective or missing parts. We will still accept it for as long as we find value in it. Are You Ready to Donate a Vehicle? There is no better time to donate a vehicle than now! This National Golf Month, let’s do something to improve the living conditions of our struggling veterans. Call us at 877-594-5822 and get maximized tax deductions, free towing services, and other great rewards for your car donations!